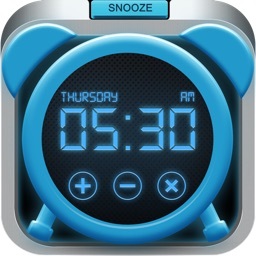 Simple but stunning alarm clock for your iPad. 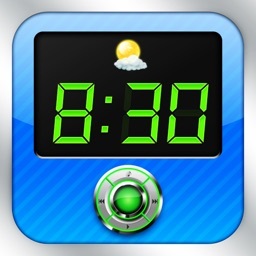 The reliable and user-friendly clock application built especially for iPad. Now with AirPlay - stream your music or alarm wirelessly using airplay enabled speakers, Apple TV and Airport Express Base Station. 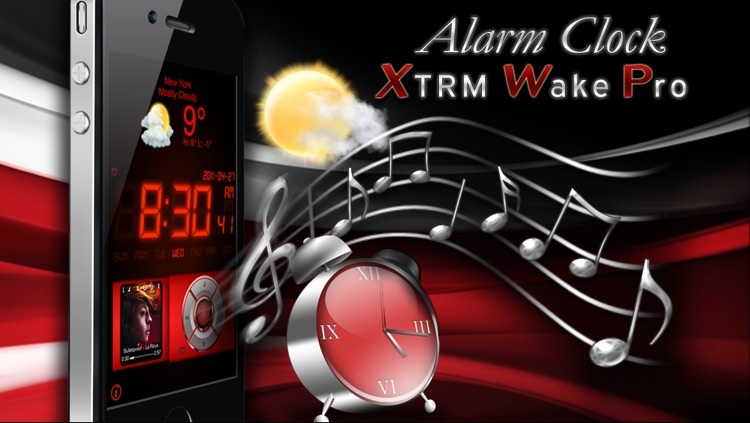 None will come up for Alarm Clock Xtrm Wake Pro’s appeal. Listen to your music with three music player skins. Fall asleep gently and wake up with your favorite playlist. 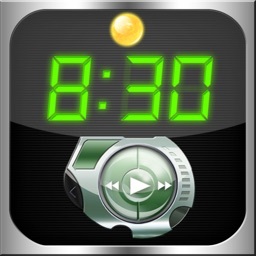 Fade out music sleep and fade in music alarm. What more you could ask for? 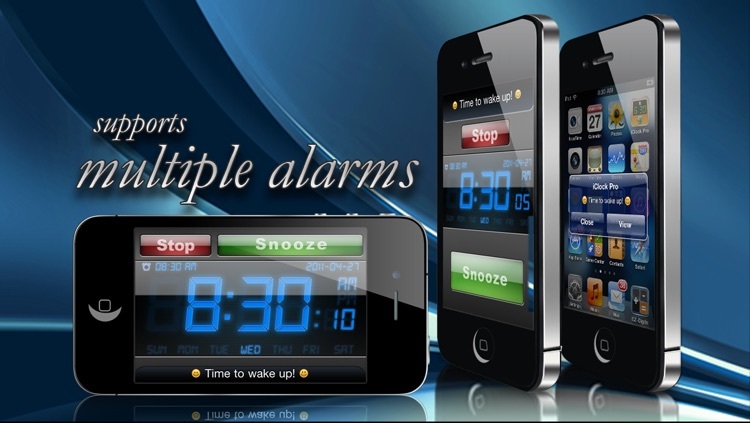 Alarm Clock Xtrm Wake Pro is a feature packed application yet anyone can simply start this app and see the simplified user interface; so easy to use that anyone can pick it up and understand it immediately. 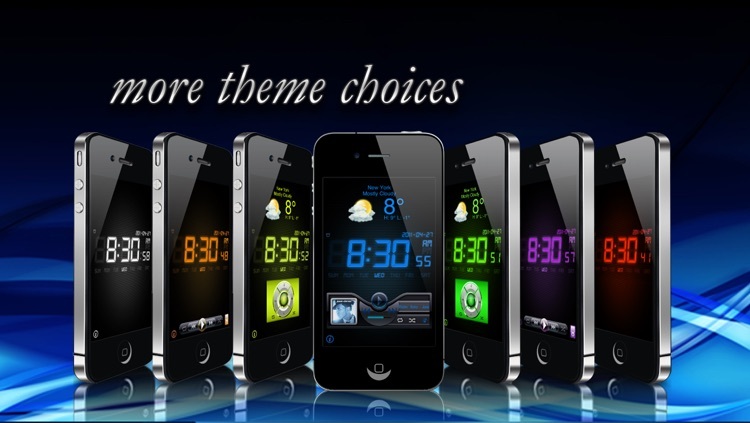 And there's a lot to like, particularly the best music player skin designs for music lovers who can’t sleep without listening to their favorite tunes. 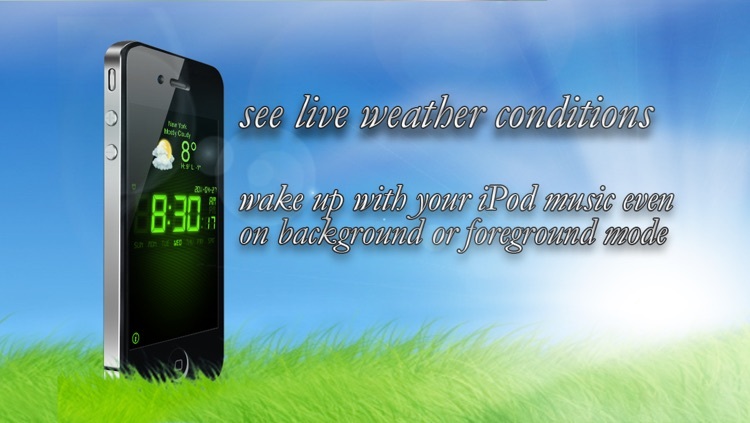 See the live local weather information right at your fingertips. Pinch out to see accurate weather conditions for today and tomorrow. Or pinch in to minimize your display to current conditions. 1. 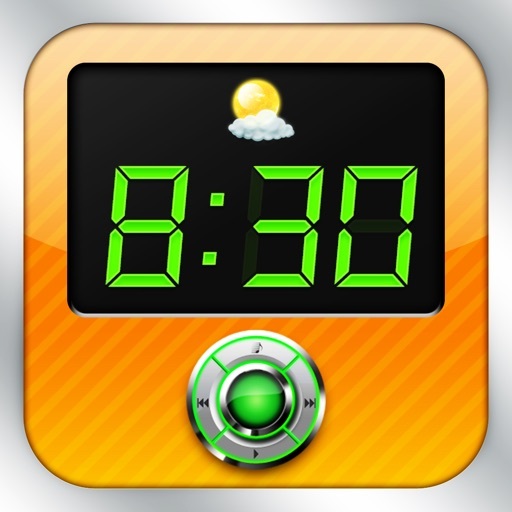 Weather data automatically refreshes every 30 minutes. Double tap to manually refresh. 2. Depending on your current volume, music sleep will begin slowly fading out at the set time. It may take a little longer to sleep when in full volume. 3. 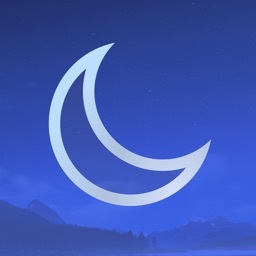 Weather display and music player will automatically close after music sleep to minimize bright display when you glance in the middle of the night. Double tap each area to display both again. 4. Weather server may sometimes not feed the current condition. Please refresh by double tapping the weather area to reset weather display or please wait until the correct feed shows up. There is nothing wrong with the application. 5. 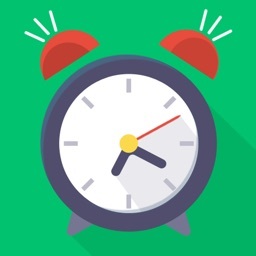 It is recommended to plug your device overnight so as not to deplete your battery in the morning or make sure it is fully charged before going to sleep.